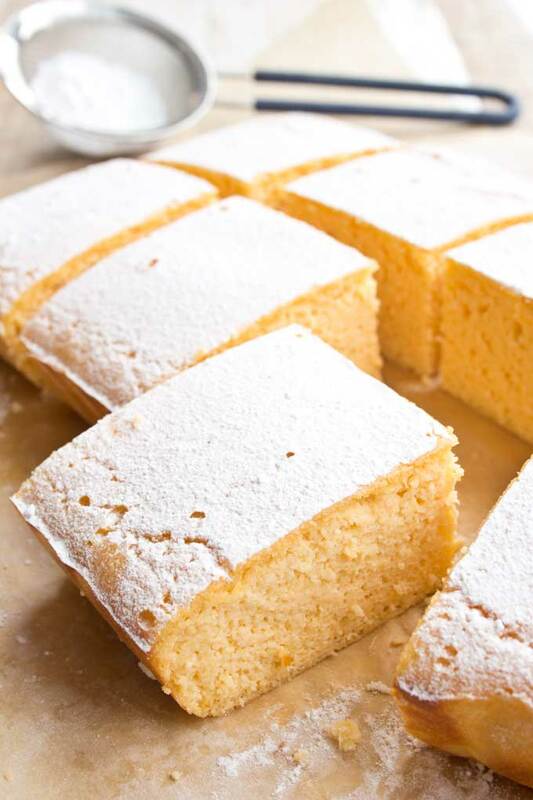 These easy Keto lemon bars are a real crowd pleaser. 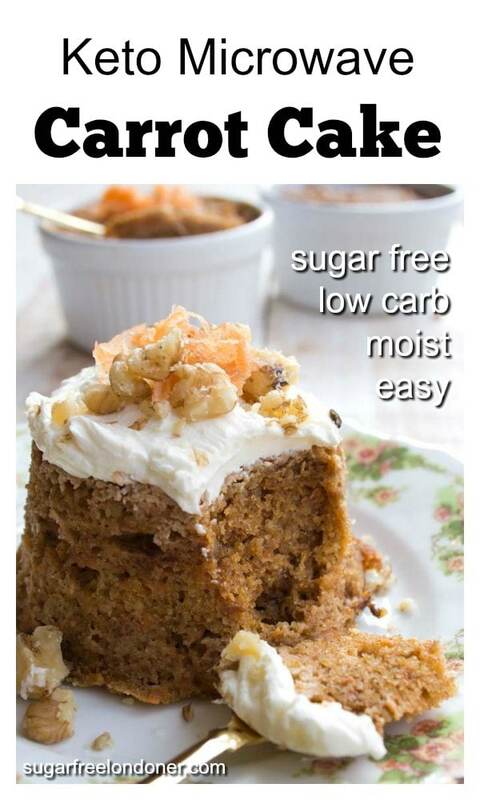 They’re super moist and just on the right side of zingy. 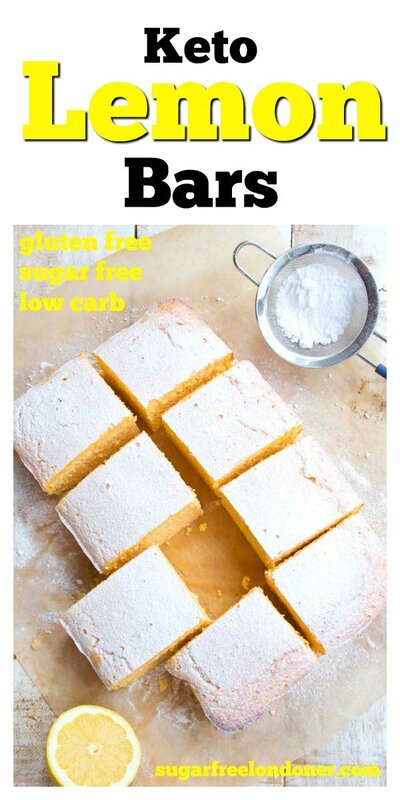 If you’re in need of a fail-safe sugar free and low carb dessert recipe, you’ve got to try this one. 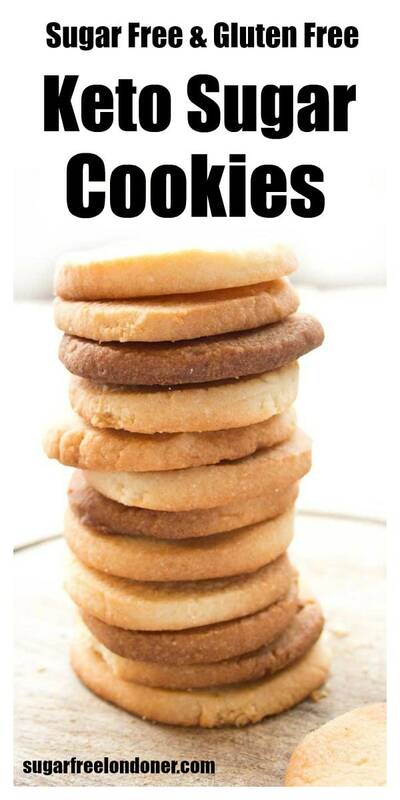 It’s a keeper! 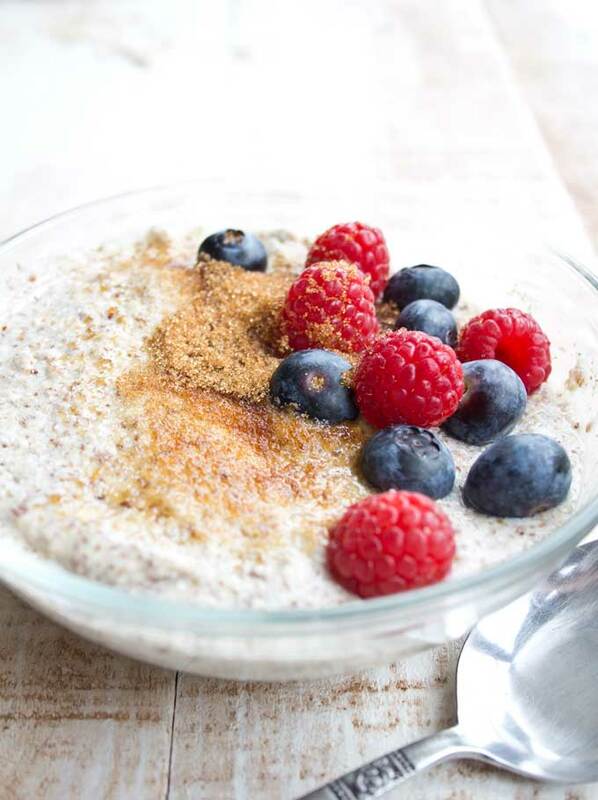 This low carb porridge is creamy, warming Keto breakfast heaven! 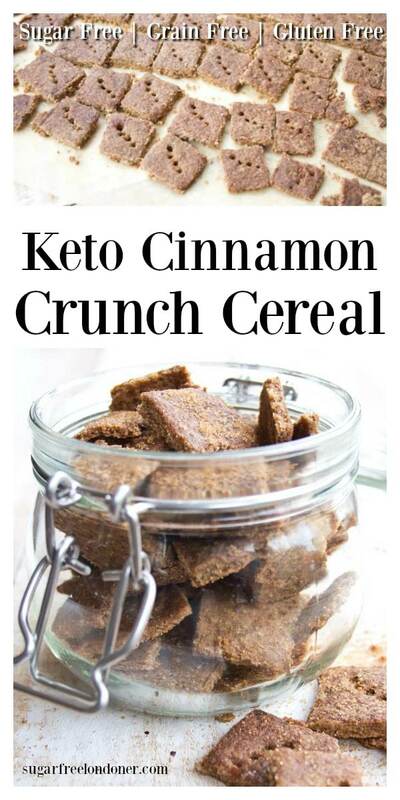 You can whip up a bowl in only 3 minutes from start to finish. 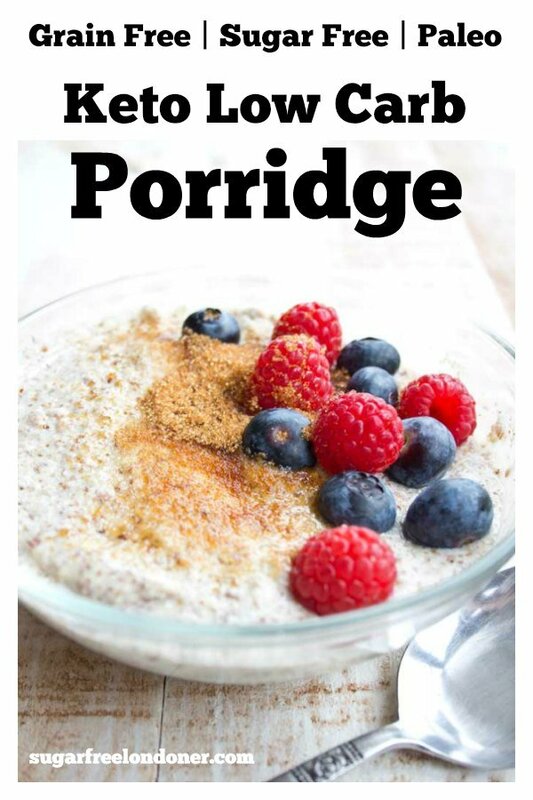 There’s no need to miss oatmeal ever again! 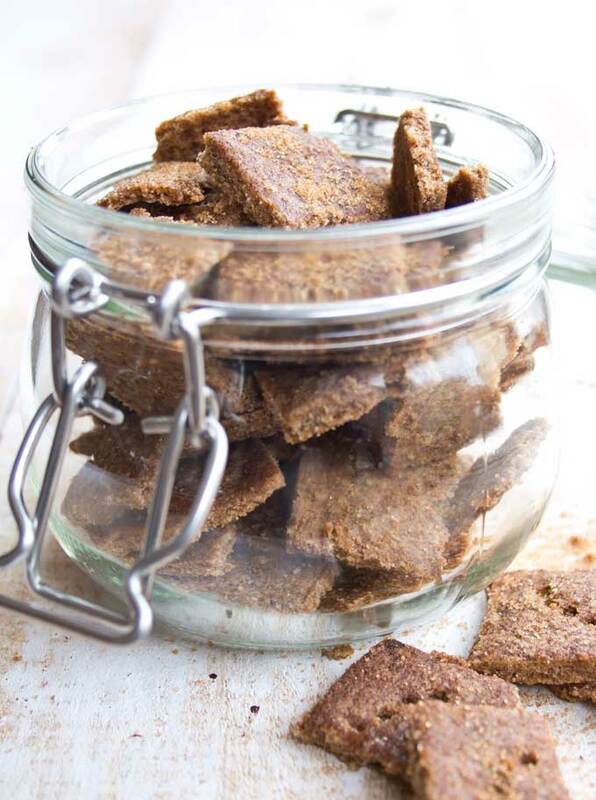 The recipe is sugar free, vegan, Paleo and suitable for diabetics. 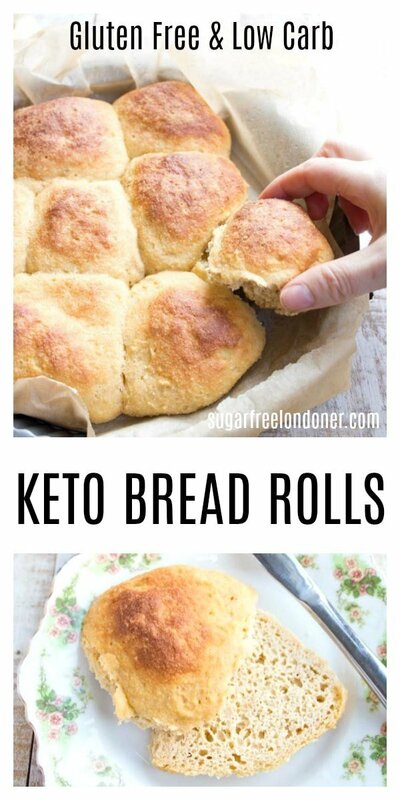 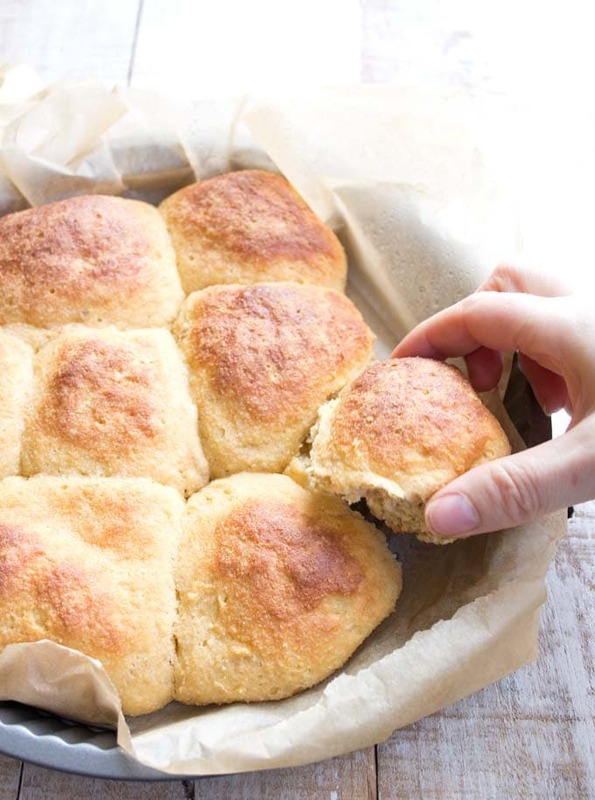 This easy Keto microwave bread is a life-saver for those moments when you NEED a sandwich and there’s no low carb bread in the house. 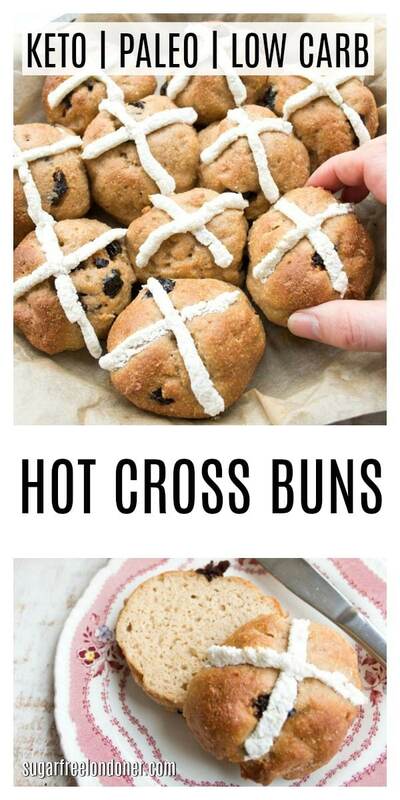 It comes together in only 90 seconds and toasts well. 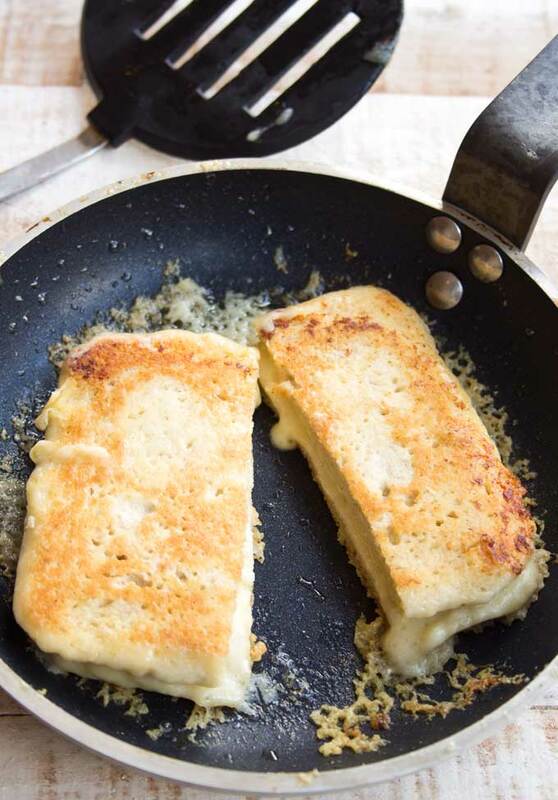 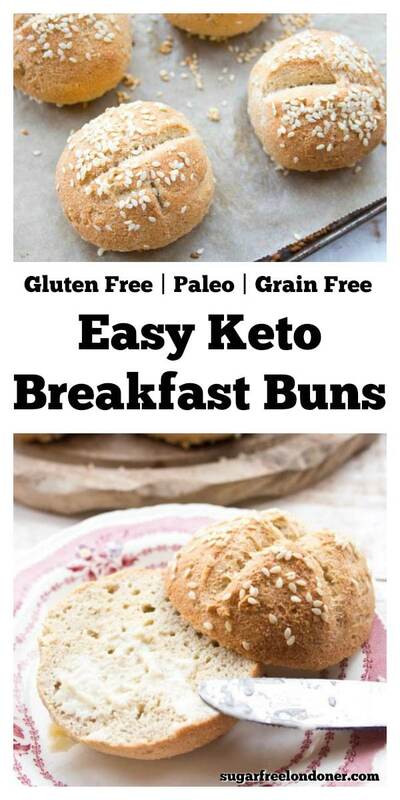 Gluten free, grain free and NO EGGY TASTE! 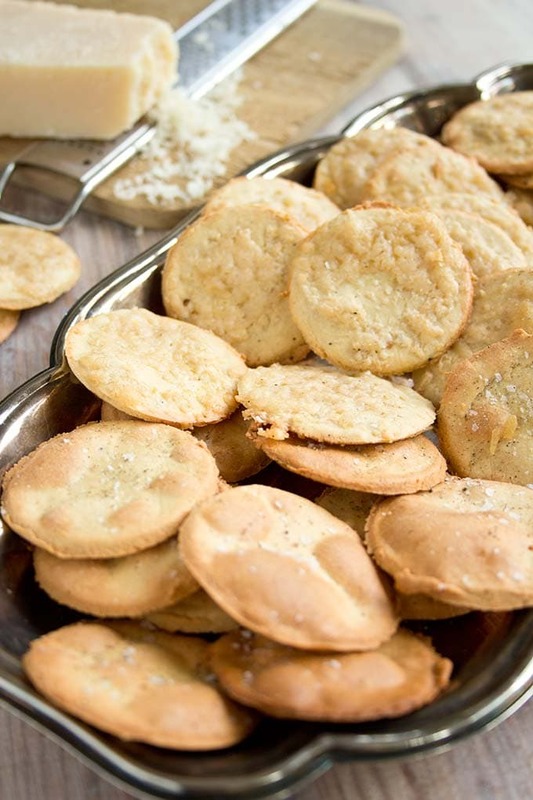 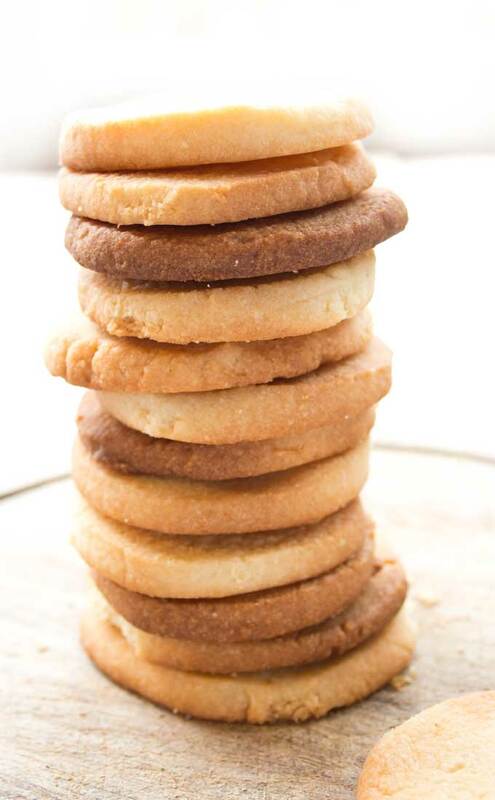 Buttery and totally irresistible: Keto sugar cookies taste just like traditional sugar cookies, only without the carb load. 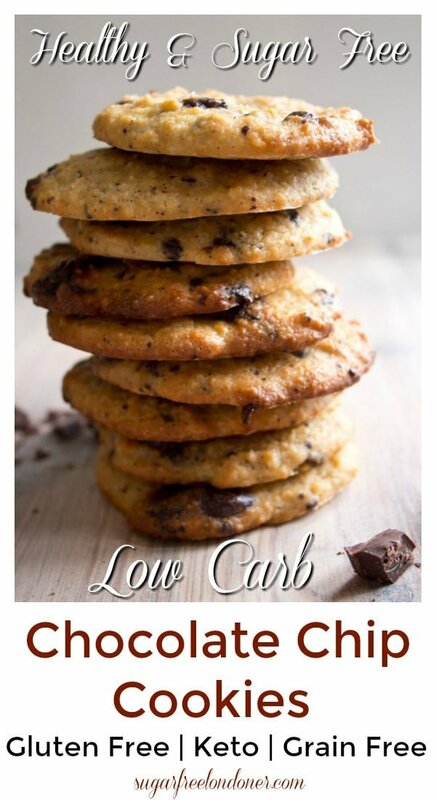 This easy sugar free cookie recipe requires only 6 ingredients and is gluten free, grain free, low carb and suitable for diabetics. 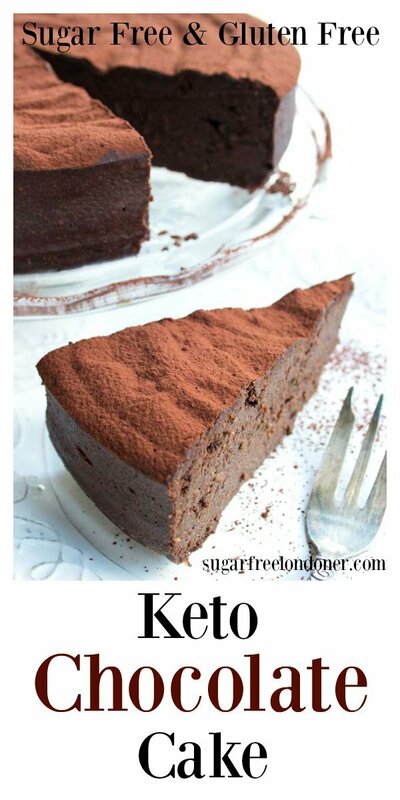 This 5 ingredient keto chocolate cake is to die for! 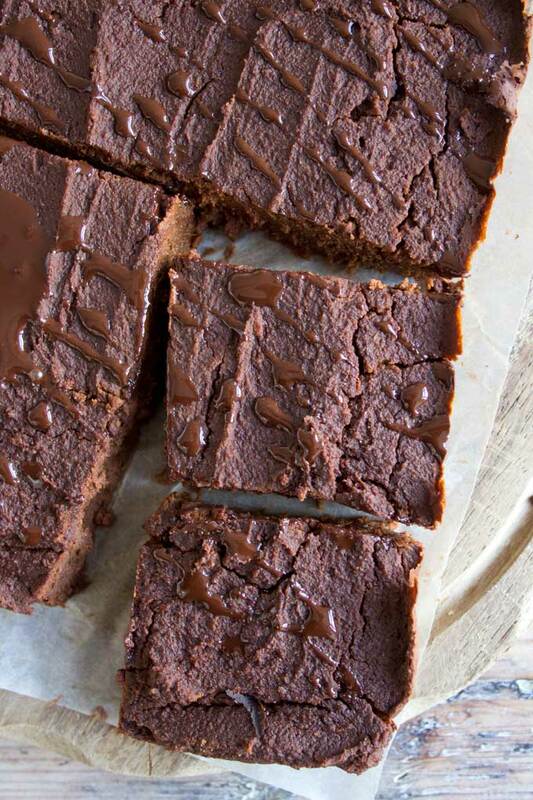 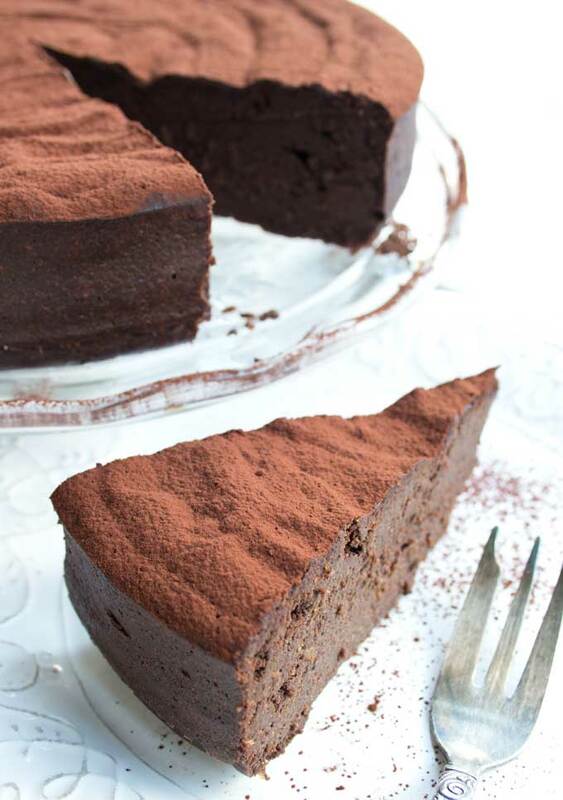 It is incredibly moist, rich and chocolatey and comes in at only 2.5 net carbs per slice. 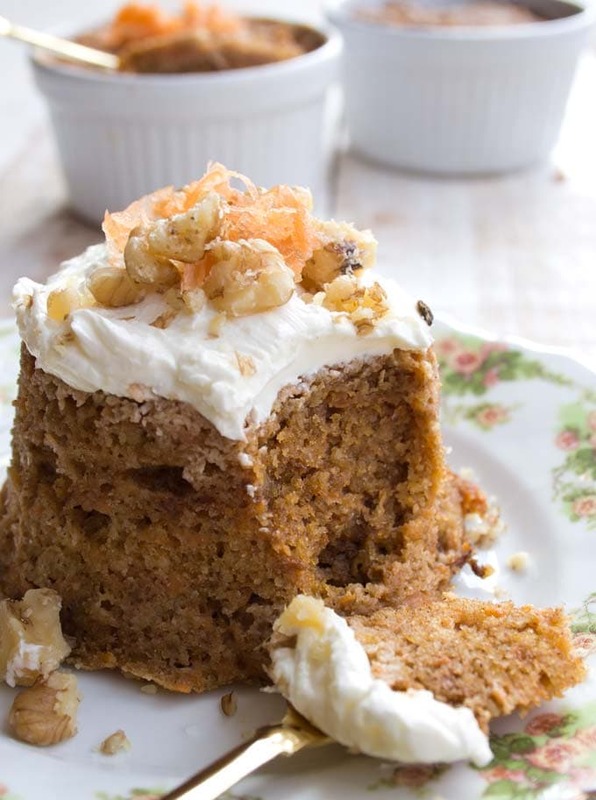 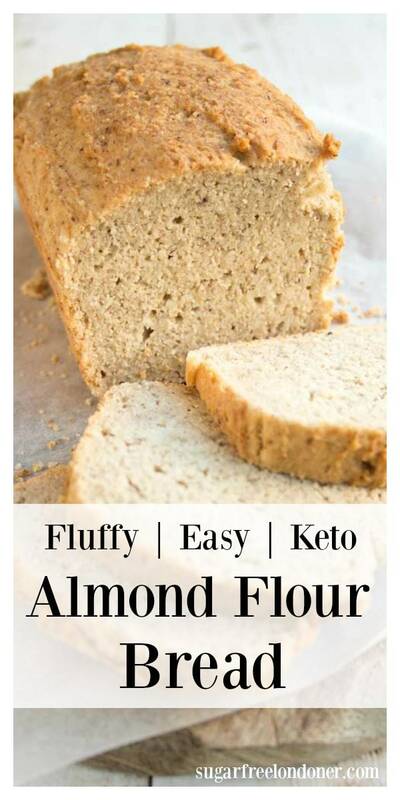 The recipe is low carb, sugar free and gluten free. 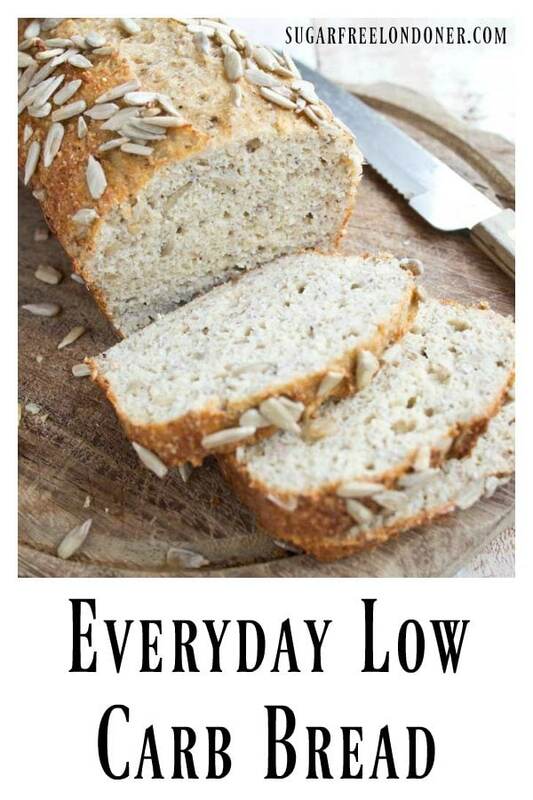 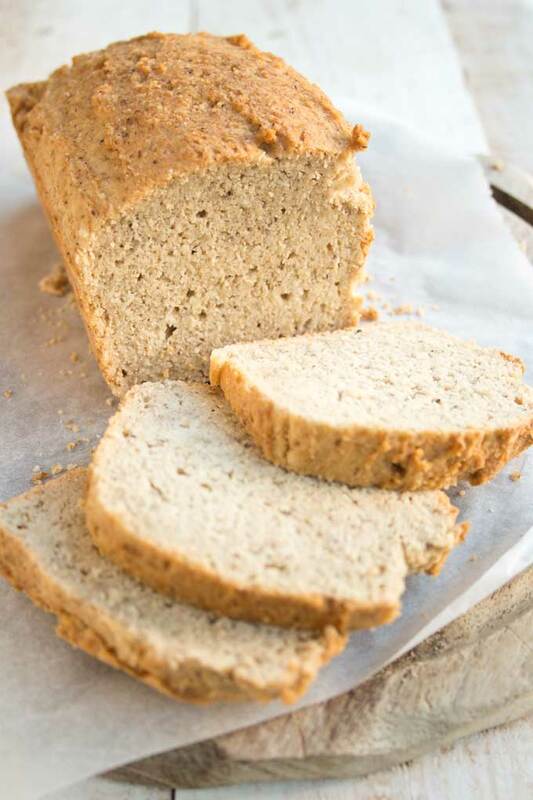 This chia almond low carb bread recipe has a texture just like whole-wheat bread and can be baked as a loaf or as rolls. 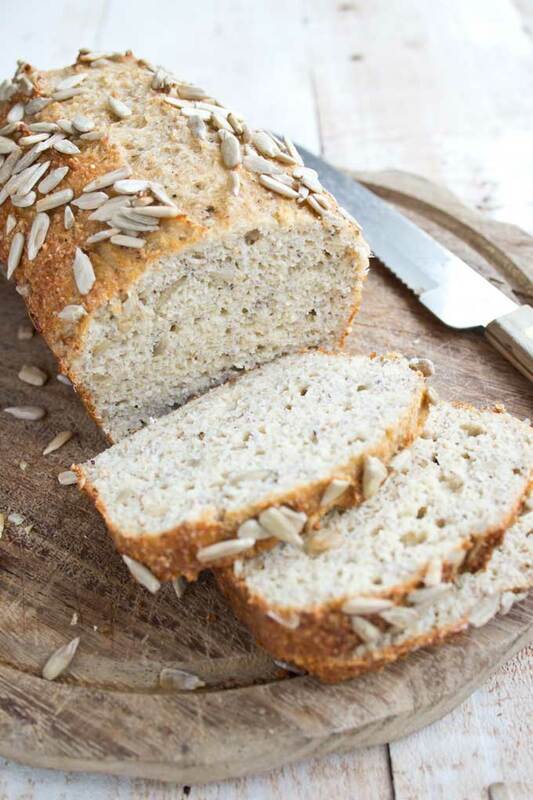 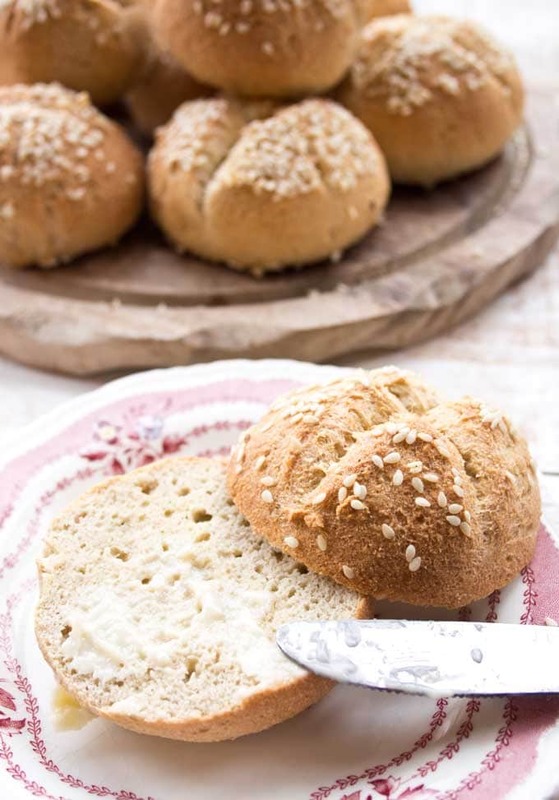 A perfect everyday grain free bread, this easy recipe is gluten free, Keto and delicious with sweet and savoury toppings. 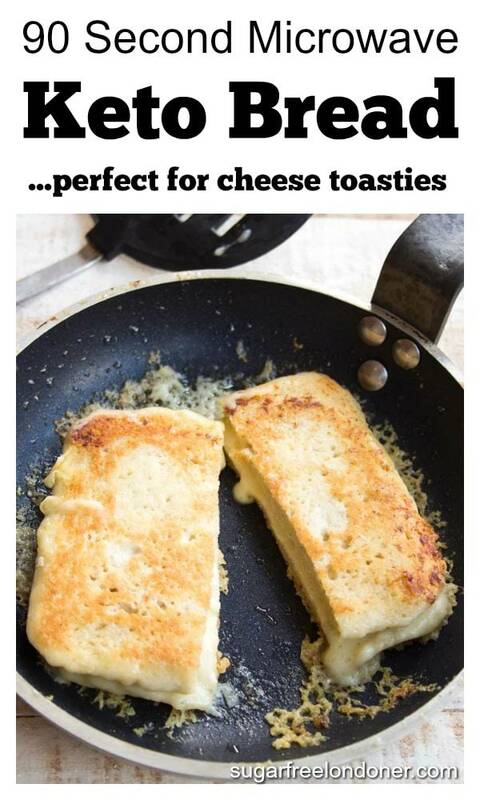 No eggy taste! 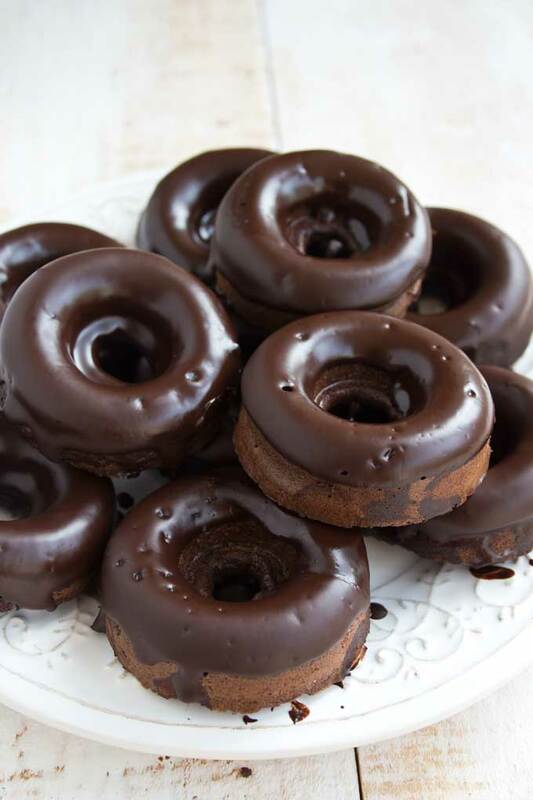 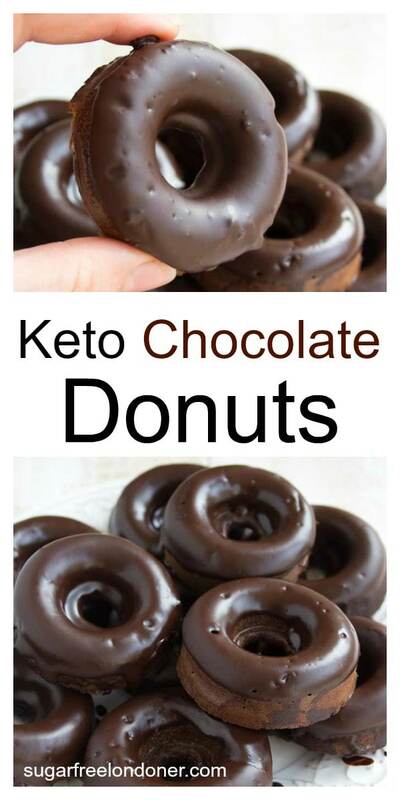 These moist Keto chocolate donuts will satisfy the most urgent chocolate craving. 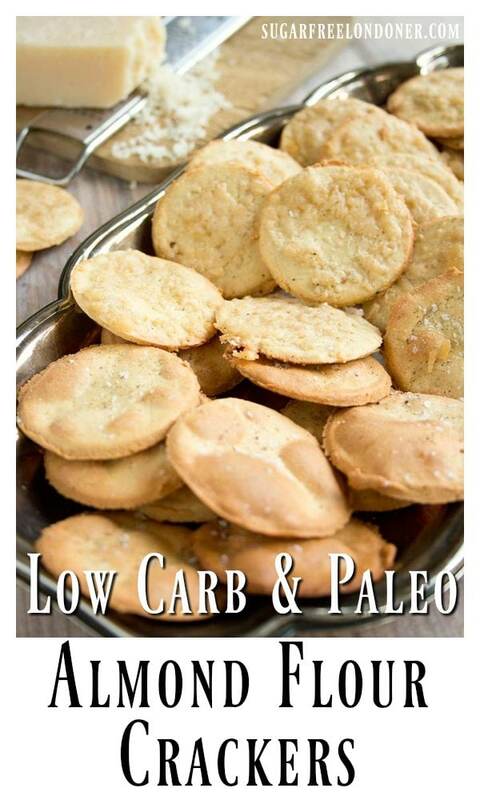 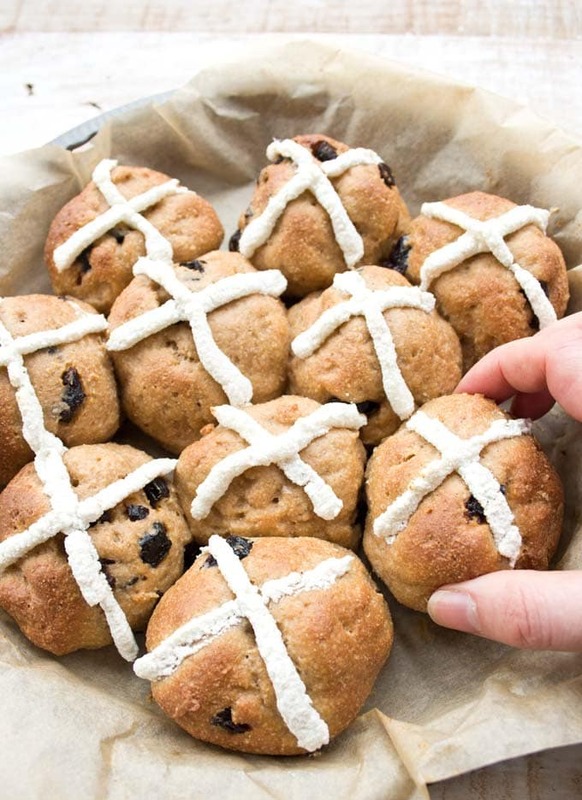 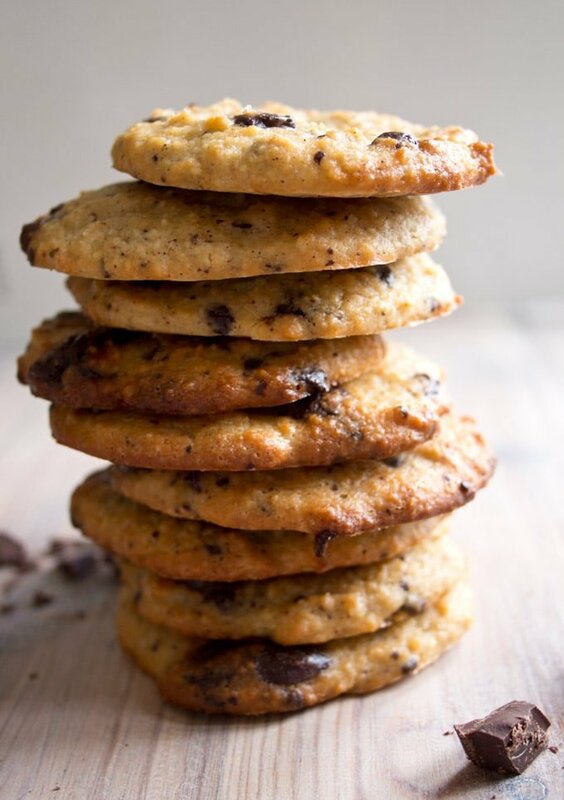 A delicious treat that’s sugar free, gluten free and low carb.